"This is a drink that you can order at any bar in France. It's a little sweet and has a pretty color; I don't like beer, but I like this drink. 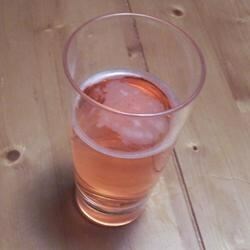 I use about 1/4 teaspoon grenadine, but use less or more depending on how sweet you would like your drink." Pour the beer, soda, and grenadine syrup in a tall glass. Stir and serve. I love it!!!! too druk right now, but get on it tomorrw.